1:1-4 These instructions in wisdom belong to Solomon the son of David, king of Israel. The purpose for producing these wise sayings in a book is to transform the young reader from a wondering child into a discerning judge of character, a careful decision maker, and an understanding listener. 1:5-6 My son, true wisdom is not defined in terms of mental prowess; rather, wisdom is the possession of a teachable spirit. A wise man is a man who can still be taught, one who stays willing to listen and learn. A wise man never gives up his pursuit of the truth; he overcomes every impediment to finding wise counsel. It could happen that a wise man is thoroughly educated, with massive amounts of information in his intellectual arsenal; at the same time, a wise man could just as easily be an illiterate, poverty-plagued hermit. By the same token, a fool may be extremely intelligent, with celebrated degrees from prestigious universities. Then again, a fool may be uneducated, penniless, homeless, and shivering naked in the cold. Neither earthly station nor the possession or lack of great intelligence has any bearing whatsoever on the question of whether or not a man is wise. What matters is this: Is he teachable? Will he humble himself to listen and to learn? Just as you must spend money in order to make money, so you must use wisdom in order to attain to wisdom. The wisdom of God is never accidentally discovered; it is not an ingot of gold over which you will stumble in the dark. Success in your quest for God’s hidden wisdom will require diligence, patience, and prudence. It will demand an attitude of sincerity, humility, and fear of God. It is the pathway of wisdom that leads to happiness, but wisdom itself, like happiness, must be sought rightly or it, too, will never be found. 1:7-9 True wisdom is insurpassably practical. It is not the speculative intellectualism of Gentile philosophers. Wisdom is the ability to discern between right and wrong. Wisdom reveals the Creator’s design for eternal life – the kind of life He anticipated that man should live when He first created him from the dust. Apart from that which is received with fear of God, all knowledge is vain. Only that pursuit of wisdom which springs from a sincere desire to know God and to do good will bear fruit and permanently benefit the seeker. Those who pursue wisdom as though it exists on its own without its Creator will never find it. The Gentiles have made a goddess of wisdom for themselves and worship her instead of Jehovah, but they are foolish. The devotees of “the goddess of Wisdom” do not even recognize wisdom when God mercifully sends someone to reveal it to them. They, in their foolish pride, treat the truth with disdain and go their own way. These wise sayings are for your learning, you who are about to set sail from the familiar shores of home to embark upon your own odyssey through life, you who have a heart to pursue happiness the right way because your heart has been touched by God. Because you are, as yet, unlearned in the ways of your Creator, you are unprepared to deal with the wicked who are waiting for you, but my wisdom will prepare you to meet and to overcome them. There is safety for you in my words. My son, listen intently to the instruction your wise father gives you and live by the standards which govern your mother’s godly life. If you live as we have taught you, your whole life will be adorned with the beauty of God’s gracious favor. 1:10-19 If a cunning, hunted animal is shown the location of a pitfall that has been dug for him, he will avoid it. You, my simple-hearted young son, are the intended prey of the ungodly. Listen to me, and I will show you the snares that others, whose hearts are not like yours, have craftily laid and to which they will attempt to lure you. They will promise you justice, saying that every one among them is treated as an equal and that everyone who shares in their adventures also shares in the wealth that is taken, but do not go down that road. If you do, your heart will be baked hard by the flames of sin. Your conscience will become calloused with shame, and you will find yourself committing cruel and lewd acts that you never dreamed you would commit: thievery, murder, and other such wickedness. Do not think for a moment that this cannot happen to you! That kind of thinking only makes it easier for them to seduce you. It has happened to many other young people, and it will happen to many more as time goes by. But I want you to escape, and to do so you must first humble yourself to see your need of godly discipline and instruction. It is easy to do this when you understand that until we become wise and are established unmovable in the right path, every one of us has a price for which we would sell our souls. The wicked know this, and until you admit this to yourself they have an advantage over you in the warfare for your heart. Greedy and murderous sinners, whose life’s work is to set clever traps for the innocent, do not seem to realize that the traps they are laying are for themselves. That clever burglary scheme, that clandestine murder, that furtive rendezvous with someone’s faithless wife, and all the other evils that men successfully carry out, are nothing but chains which bind their own souls in the pit of condemnation until God’s time comes. And it will come. Do not allow them to deceive you, my son. Listen to my words. No one ever “gets by” with anything. It may appear, for a little while, that sinners are winners. But be patient. When you are my age, you will have seen enough to know that God is diligent in righteous judgment, but merciful and very slow to act on His anger. In His perfect time, every deed has its inescapable reward from the Almighty. 1:20-23 God’s wisdom is difficult for many to find, but that is not because it is hidden in a deep, dark cave on a deserted island. On the contrary, wisdom shouts its truths loudly everyday, all day long, every place where men live. Nevertheless, most people plod along through life completely unconscious of the fact that the Creator is earnestly crying out to them through every element of His creation, by every means conceivable. His heart’s greatest desire is that we humans would requite His deep and abiding love for us. Oh, how He would rejoice, if people would only love and trust Him! 1:24-31 There is a limit, however, to how long the Creator will offer His limitless love to mankind. He will not forever humble Himself to beg people to love Him. He will not forever tolerate man’s arrogant contempt for Him or man’s persecution of His chosen people. “Because I called, and you refused to listen; because I reached out for you, and you turned your back on Me; because you belittled holiness; and because when I attempted to correct you for these things, you refused to acknowledge Me; therefore, I will sit and laugh at the results of your foolish wickedness; I will mock at your tears and your trembling hands; I will ridicule your pleas for help when, as a powerful and roaring tornado, tragedies blow apart all that you loved and obtained in this life. It will all be destroyed, all of it! Your body will be in great pain, and your heart will be filled with terror, but I and the people who love and fear Me will be filled with the spirit of laughter at you – I unwilling, and they unable, to lift one finger to help you. Oh, how loudly you will call out My name on that Day! You will cry aloud for mercy, for you will no longer regard fervent supplication to Me to be vain, superstitious behavior. But even though you weep and pray, yea, even though you scream in terror and pain, you will find no comfort, no relief whatsoever. You will be terrified at My limitless wrath. 1:32-33 Listen very carefully, my son. The unwillingness of some young people to listen will result in eternal death for them. Even if they prosper in this life, their own successes will destroy them. The blessings that God gives to ungodly men to enjoy, the earthly blessings for which they should love their Creator, will weigh down their stubborn souls with condemnation all the way into hell. But every person who gives ear to God’s tender voice will escape His wrath and dwell forever in perfect peace and happiness. After the Day of Judgment, the wise and obedient shall never again feel the feeling that is called “fear”. Solomon’s Counsel to His Son Concerning the Secret Path of Wisdom. 2:1-5 It is my dearest hope, my son, that you become a wise man, and our God has promised that He will make you wise if you do your part. He has never failed to fulfill His promise to make wise all those who seek Him with the whole heart. Your part is this: First, you must Believe the truth that I am telling you and let it become as much a part of you as the blood that flows in your veins. Second, you must work at it. Let the desire to know God burn within you so that it overrides every other desire of your soul. Third, you must ask for Jehovah to give you His hidden wisdom. There are those who have not, simply because they have not asked. These three steps are basic to the way to wisdom. All other ways of pursuing happiness, regardless of how promising they may appear or how popular they become, are dead ends. 2:6-9 It will be easier for you to recognize and to reject the phony promises of fools and to pursue happiness with your whole heart, when you fully appreciate this one simple truth: the Creator alone gives wisdom and knowledge. If you really believe that, then you will be unable to trust any way but His, for your heart will tell you that to try any other way is a useless, foolish waste of precious time. 2:10-11 When wisdom enters your heart, it begins a process of recreating you. When the knowledge of God becomes sweet to your spirit, truth becomes easy to swallow. Your heart then ceases its vain wrestling with conflicting thoughts, because you will at last understand that God is always the only One right. Then, the blurring mist of youthful instability will disappear, and you will find that the choices confronting you are less difficult to make. As the rising sun dissipates morning fog without a struggle, so the light in your eyes will vaporize from within the confusing clutter of the many spirits and vain voices of earth. Your youthful ignorance will give way to manly knowledge of the truth. Listen, my son. The earth is filled with many spirits, all vying for your trust. You will feel them around you – everyone does – as you go through this life. Everyone is a feeler of spirits, but not everyone is a discerner of spirits. Those who merely feel the spirits around them are influenced by them, but those who discern what they are escape their power. You will become a discerner of the spirits that are in the world if you listen to my instruction, and your heart will remain untouched by their cunning craftiness. Nothing will befuddle you if you listen to me. Nothing will move you. You will be incapable of believing a lie. Your heart will receive nothing but the truth, and you will fully comprehend every word that the Creator speaks to you. Righteousness will be easy to understand, and how very happy you will be! 2:12-19 Jehovah’s reward for your diligent search for His wisdom will be to protect your heart from those who look good but who are not good – especially professional fools, whose inner delight in sin is skillfully concealed by erudition and feigned faith. They confusedly wrangle over exalted theological concepts that they themselves cannot comprehend. They speak eloquently, but long ago they set their sails by a wandering star and strayed from the safe path. Now, they are sailing in circles on a wide, dark sea, with no knowledge of right and wrong, and they do not even realize it. My son, titles engrave no truth upon a man’s heart; positions impart no prudence; nor do degrees confer discernment. Trust God and seek His praise; you cannot safely put your trust in man. But protection from the snare of intelligent fools is not God’s only reward for your pursuit of His ways. The other snare that you will escape when God makes your heart wise is the snare of an ungodly woman. You will see right through her makeup to behold her wretched soul, and you will be so repulsed by the sight, as well as by the stench of her spirit, that her perfumed body will mean nothing to you whatsoever. Oh, she will coyly compliment you as being engaging and witty, but God will anoint your eyes to peer through her seductively painted lips, down her sweet-smelling throat, and into the disease-ridden pit that is in her heart. It will amaze you at how little her inviting beauty will appeal to you. Her rejection of God’s way of pursuing happiness will cause her to seem ugly to you in spite of her efforts to be enticing. She will find no avenue into your heart. Because she did not listen to the godly instructions she received as a child, she became a fool, a contemptible tool used by God to ensnare foolish young men who also refuse instruction. Because she forgot her God, she is turned over to her own lusts and is now used only to test the hearts of others. Those who are blessed by Jehovah reject her. Those who embrace her are holding in their arms a very expensive ticket to hell. They will all spend eternity together, with no flesh to conceal their vile spirits. Jehovah has named the wide street that leads to her house “Death Road”, and that one-way road will not appeal to you at all when you become wise. All who give themselves to such a woman die; they are never the same again. In the pathway to her door is no happiness and no life, forever. 2:20-22 This good counsel, my dear son, will guide you to the way of wise and righteous men, men who live good lives and are blessed by the Lord. Their eternal happiness is assured by God. Those who are upright will be given the whole world in which to live, without one danger in it and without one ungodly soul on it. When that day comes, sinners will be thrown away like trash into an everlasting fire, while in that new and blessed world every righteous soul will have another righteous soul for a neighbor. What a wonderful life awaits those who desire to know the ways of the Creator and to walk in His light! 3:1-4 Son, if you remember and obey my instructions, years will be added to your life, and you will enjoy those years better than if you live any other way. Two things will especially be a blessing to your life if you will embrace them: mercy and truth. You will hear me speak of them often. As for Truth, I will teach you these things: A wise man is willing to see people and situations as they really are, even if it causes him pain. A wise man loves truth so much – whatever it is, and whomever it concerns – that he would rather know it and be grieved than to be blind to it and have a false sense of security and contentment. If you sincerely desire to know the truth, then you should prepare yourself now to suffer when you see it. You must always remember, as you grow in knowledge, that it is possible to do more harm with truth than with a lie.1 You must always temper your knowledge of truth with a merciful spirit. Otherwise, Jehovah will judge you by your own standard of merciless truth. Concerning Mercy, I will teach you this: Mercy is cheapened when it is bestowed upon an unrepentant sinner. To be promiscuously merciful is foolish. Forgiveness of sin not repented of is not forgiveness of sin at all; rather, it is an endorsement of it. This kind of mercy is especially ungodly, for it promotes wickedness even as it appears to be good. You must demand of yourself and of those about you a godly balance of mercy and truth. Wisdom will teach your heart when and how to use both these instruments rightly, so that you may genuinely benefit others and truly please God. 3:5 Pray the prayer of my wise father, who prayed that Jehovah would unite his heart to fear nothing but Him. Do not divide your faith. Put all your eggs into one basket and trust your whole life to the care of the Lord. Unwise people try to obtain happiness without God’s help. Some have learned to play the role of pitiful victim, so that undiscerning folk will pity them and give them what they want; some are accomplished liars and survive by deceit; others depend on social or family connections to gain earthly advantage. The whole world operates under one form of manipulation or another. To manipulate and mislead others is the world’s way of pursuing happiness, for it is the nature of man to seek happiness at the expense of others. Do not trust in worldly wisdom; trust God and live by His direction. 3:6 If you openly acknowledge your trust in God, then He will give order and meaning to your life. You will miss no “golden opportunities” because the Lord Himself will be the Guarantor of your happiness. 3:7-8 Those who survive by manipulation pride themselves on their accomplishments and abilities, but you stay humble before the Lord and do good for others. If you do not resort to the world’s ways of pursuing happiness, regardless of its pressures or enticements to do so, then God will see to it that the happiness the world vainly pursues is yours. He will bless you with healing and prosperity. 3:9-10 Never be so foolish as to neglect the financial support of those who truly are servants of God. Multitudes refuse to do this. Many keep to themselves what is due to God’s servants because they fear that the money they bring to God will cause them financial stress, even though they cannot point to a single case in history where anyone fell into poverty by bringing their tithes and offerings to God! On the contrary, the righteous have never been forsaken by God, nor has He ever abandoned their children to abject poverty. God has always abundantly provided for those who abundantly love and trust Him. It is covetousness or rebelliousness, or both, which hinder sinful men from honoring God by financially supporting His servants. Do not believe any of their rationalizations for their wickedness. You know the truth; walk in it, and God will enrich your life. 3:13-18 If you attain to wisdom, and if you persevere in your search to understand the ways of God, you will certainly be made happy. The benefits of wisdom are greater than anything that this world can offer. They are better than the best silver, better than pure gold, better than jewels, better than all the world’s praise and honor. Wisdom affords more happiness, and that eternal, than do all the desirable elements of earthly life. Wisdom will lead you to eternal life and will bring upon you everlasting honor and true riches. 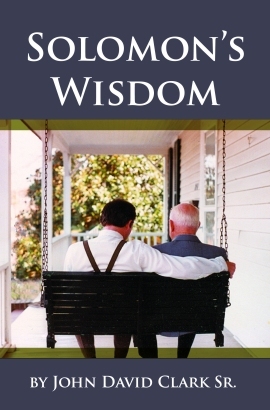 Wisdom will make you a pleasant person and fill your life with an abiding sense of security. Once you possess wisdom, and if you hold it fast, it will be a perpetual spring of blessing, and you will enjoy the happiness that you desire. 3:19-20 Everything in this creation exists and functions by the direction of God’s wisdom. This immeasurable universe dances to the intricately synchronized music of His understanding. The Creator’s knowledge determines the location and the magnitude of earthquakes, tides, and storms; by His knowledge the atmosphere produces drops of water. You cannot imagine all that God’s wisdom has designed and still directs. And there is no end, either in number, in beauty, or in depth, to the knowledge that wisdom affords to those who possess it. 3:21-24 Oh, my son, cling to wisdom and discretion! They will save your life and make your life a beautiful thing, for they will prompt you to make wise choices. You will sleep peacefully at night, and your spirit will enjoy pleasant rest. 3:25-26 The wicked, especially those in positions of great authority, often manipulate others by exploiting men’s fears. Do not be moved by the dread of catastrophes that they would plant in your heart. Catastrophes may happen, but they are designed by God for the destruction of the wicked and for the blessing of the upright. Wisdom will persuade your heart to trust in God’s faithfulness so that wicked men will not be able to ensnare you in their net of fear. 3:27-29 Listen to my wisdom. Whenever you have an opportunity to do good for someone, do it. Never put off until tomorrow paying a man what you owe him, especially when you have the money in your pocket today. You are your neighbor’s keeper. Always look for ways to benefit him and never join in schemes to do him wrong. 3:31-32 Remember what I said. Do not envy the man who is successful in manipulating others. You will know such men by their “froward tongue”, of which I shall have much to say later. For now, remember that God abhors the manipulative soul, and that He reveals His secret path to happiness only to those who seek it in the right way. 3:33-35 Only fools cannot see that the curse of Jehovah is upon the wicked and that they possess nothing that is eternal. The upright, on the other hand, have the best of all things: peace and happiness here in this life, and much more of the same in the world to come. God scorns their efforts to obtain lasting happiness who scorn His merciful attempts to help them find it, but He opens the eyes of the humble man to see the hidden pathway. In the end, those who have attained to wisdom will share in the incomparable glory of God, while the foolish will be humiliated in the Judgment and cast aside without mercy. 4:1-5 Listen, my children, to what King David, my father, taught me. and learn from it. It is wise counsel that will help you in every situation you will face. As a child, I was very dear to my father, and my mother felt a special, tender love for me. I listened to them, and I will now teach you the wisdom my father taught me. 6:16-19 “There are seven things that are most abhorrent to the Lord. Avoid these seven things at all costs. (1) God abhors people who think they are inherently worth more than others and who demonstrate their superior attitudes by how they dress and talk. The world is attracted to the latest fashion because the latest fashion carries with it an appearance of superiority. But we are all God’s creatures, and none of us is by nature worth more than others. Stylish fashion denies this eternal truth. Stylish fashion is a way for men to make false claims of superiority without opening their mouths. (2) God abhors the man who uses God’s wonderful gifts of thought and speech to deceive others. (4) God abhors those who invent new ways to allure young people into sin. (5) God abhors those who are eager to do evil. They are the ones who seize most quickly upon the latest rage in fashion and style so as to appear better than others, but the truth is that such are among the basest of people. (6) God abhors those who betray a trust, especially those who lie to authorities and cause innocent people to suffer. ‘To you, mankind, do I call. My voice is directed solely to you. Oh, that you fools would believe Me and be made wise! O foolish people! Let your heart receive My words! Listen carefully, for I will reveal truths that are beyond the comprehension of many. The words that come out of My mouth are always right. What comes out of My mouth is always true; My lips detest deceit; they will allow no such thing to pass through them. Every word that comes from My mouth springs from righteousness; there is not an ounce of self-exaltation in My words, not one distortion in them. Those who have an understanding heart trust what I am saying; those who sincerely seek for the knowledge of God acknowledge My doctrine as the only right one. My instruction is more valuable than silver; the knowledge I give is more precious than gold. To possess Wisdom is better than to possess rare jewels. Indeed, the value of every precious thing on earth is small compared to Wisdom. I, the Wisdom of God, am always accompanied by prudence. When I enter a man’s heart, prudence directs his decisions, and his desire for peace and happiness is granted by God. I am the One who has inspired the great inventions and discoveries of human history. I will not dwell in the heart of a proud and arrogant man. I refuse to walk with him down his evil pathway, for I despise a smug, sarcastic tongue. There is no understanding in those who receive no counsel from Me. I am understanding. Where is there any wisdom without Me? The decisions that rulers of earth make are prudent only to the extent that they agree with My words. Their strength lies in their confidence in the knowledge that I have revealed to men. I love those who love Me. And those who diligently seek Me shall find Me and be blessed. Enduring riches are in My hand; lasting honor is Mine alone to give. Righteousness is My favor to bestow. The gifts that I give are more precious than the finest gold, more to be desired than the choicest silver. Those who pursue Me find themselves walking in the way of righteousness; they find themselves surrounded and comforted by just men. My way will lead them to My home, where I will fill their souls to overflowing with everlasting treasures. The Lord created Me first, before anything else existed. I predate everything – heaven, earth, everything. Everything, that is, except Jehovah, who created Me. When I was created by Him, there were no oceans, no springs of water, no mountains, no hills, no fields – nothing. When He created His majestic heavens, I was already there. When He determined that there would be east, west, north, and south, I was there. When He formed the clouds, I was there; when He laid the foundations of the oceans and set their boundaries, I was there. When He brought the land out of the water and appointed the great continent its place, I was there. When all these things were created, I was beside Him as His Son. He was very pleased with Me, the firstborn of every creature, and I was thrilled to be alive with Him. I visited His earth and rejoiced at it all, including His wise decision to create mankind. I loved man, as He did. 1 (3:1-4) For example: Judas caused Jesus more suffering by admitting to the elders of Israel that he knew Jesus and his whereabouts (the truth), than did Peter, who cursed and swore before them all that he did not know the Lord Jesus (a lie). In the hands of some men, truth is far more harmful than a lie could ever be. 2 (8:1-36) In Hebrew, wisdom is a feminine word. I depart from the grammar rule here and use the masculine pronoun he because in this new covenant the truth has been revealed that a man, Christ Jesus of Nazareth, is “the wisdom of God” personified. (1Cor. 1:24). 3 (9:1) God revealed through His servant Paul what these seven pillars of the faith are. We may read of them in Paul’s letter to the Ephesian saints (4:4-6).